In a captivating departure, Larry Watson, "a writer whose work is worthy of prizes" (Los Angeles Times Book Review), unveils a portrait of faith, obsession, and enduring love -- and a work of greater tenderness than anything he has yet written. Love captures Paul Finley, in, of all places, his own bedroom -- literally waking him from his dreams. The night he discovers Laura Pettit standing at his windowsill, Paul is eleven years old, a boy naturally inclined toward seriousness, precociously adept at the art of watching the world without being watched. Laura is twenty-two, a fiercely passionate and independent poet already experiencing the first flickers of fame, a beautiful woman on the brink of seducing Paul's father. No matter; Paul is smitten. When she leaves him to rejoin the grown-ups' party downstairs, Laura issues Paul a wholly impossible command, one that will haunt and consume both of them for the rest of their lives: "Forget me." Laying bare the inner life of one man during the course of nearly four decades, Larry Watson delivers a riveting treatise on the excruciating power of love -- and two of the most remarkable characters in recent American literature. 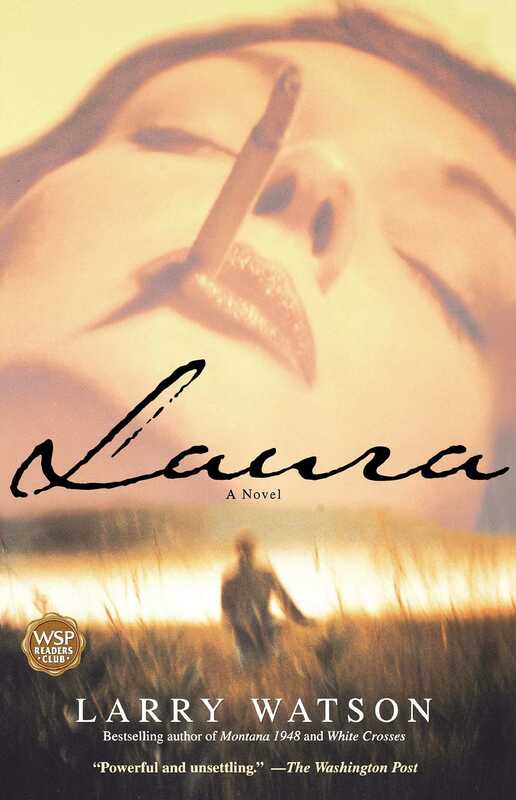 Infused with breathtaking pathos and delicate grace, Laura is an extraordinary triumph of the novelist's art. The Denver Post Laura is the kind of novel that, once started, is hard to put down. The Washington Post Powerful and unsettling. Chicago Tribune Immediately drops the reader into the world of obsession, with all its uncertainties, complications, and longing....A deft double biography. Book A lyrical portrait of a family unraveled and the manner in which a powerful encounter can resonate through an individual's life. Kirkus Reviews A finely wrought...tale of enduring passion. The Capital Times (Madison, WI) Watson brilliantly and compassionately shows how a relationship between two complex people can change (and not change) over time....He tenderly and honestly depicts the relationship between a father who denied himself nothing and a son who denied himself everything. And how both paid the price. Atlanta Journal-Constitiution An entertaining cognition on how far obsession can twist a person. Register-Pajaronian (Santa-Cruz, CA) Larry Watson has captured the unforgettable and excruciating power of love gone awry in Laura.